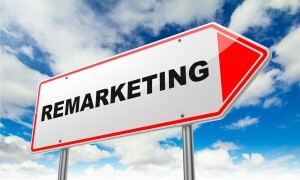 Remarketing is a campaign type within the Google AdWords Pay-Per-Click platform, existing within the Display network. Remarketing, as the term suggests, attempts to market or advertise again to a searcher that has already visited an advertiser’s web site. Since only past searchers who have already searched, clicked on an ad and then visited a web site are the applicable audience for these paid search display clicks, they are generally viewed with a much higher value than the average click from the display network. Typically Google AdWords display network is significantly cheaper than corresponding search network clicks, and Remarketing is no exception. In an in-house case study, Insider-Search found that for a client averaging over $10 per click on the search network, that client realized an average Remarketing click of under $2. One best practice we as Certified AdWords Professionals utilize is frequency capping, or limiting the number of times a previous searcher sees these remarketing ads in order to avoid brand fatigue and all the negative that comes with over-exposure. Additionally, we can further define the audience by limiting the ads to past searchers who at least spent “X” amount of time on the web site from Google Analytics tracking reports. Remarketing is applicable to most business types, e-commerce, lead gen., service-based and brick-and-mortar store fronts. Contact us for more information on if your AdWords campaign would benefit or on how to create a Remarketing campaign.